Remember Shadrach, Meshach & Abed-Nego? They're the three Jewish men who refused to bow to the gold image that King Nebuchadnezzar installed. Their story is told in Daniel Chapter Three. 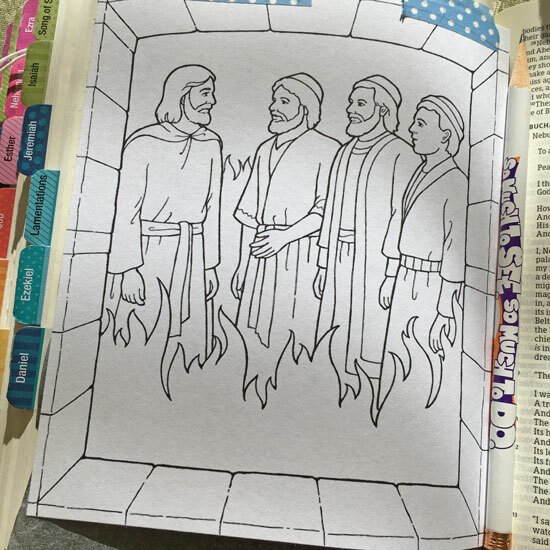 The king had commanded that anyone who did not bow to the image would be cast into the fiery furnace, so these three men were bound and cast in to the fire. 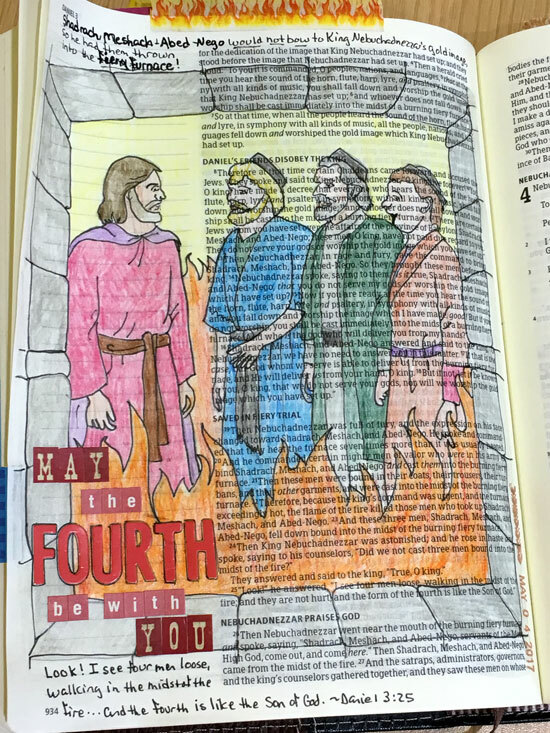 However, when the king and his counselors looked into the furnace, they said, "Look!...I see four men loose, walking in the midst of the fire; and they are not hurt, and the form of the fourth is like the Son of God." Star Wars fans will recognize the quote I've used on this illustration as May the Fourth is Star Wars Day because of the pun on the movie catchphrase "may the force be with you." The Jedi use the power of the force to combat the "dark side." Truly, the way to combat the darkness in today's world is through the power of the Fourth Man in Nebuchadnezzar's furnace that day! In the king's words - Blessed be the God of Shadrach, Meshach, and Abed-Nego, who sent His Angel and delivered His servants who trusted in Him, and they have frustrated the king’s word, and yielded their bodies, that they should not serve nor worship any god except their own God! I know series subject but I did get a chuckle at your version of May the 4th ... well played Melissa, well played.